Provide your guests with something truly unique when you hire photographic services to ornament a themed corporate event, party, or anniversary. You can augment your evening and entertain your guests. 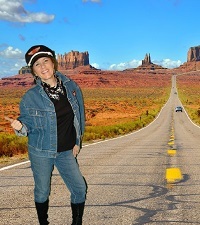 Bring the fun of costume dress-up photos to your next themed corporate event or private party. 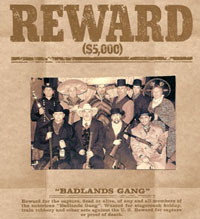 Choose from such themes as Old West, Pirates and Luau. These photos are guaranteed to help involve your guests in the festivities and create a memorable experience for everyone to take home after the party. Make your next party an interactive one with these unique photographic services. A professional photographer, assistants to help with printing on site instant photos for your guests. A professional backdrop gives your photos a studio quality finish. Instant photos are placed in a folder frame for guests to take with them. 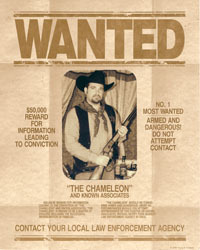 Take home photos provide your guests a fun and memorable experience. 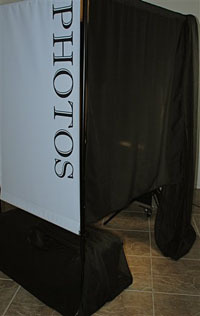 Provide a fun and memorable experience for your guests with the Portable Photo Booth. Provide unlimited instant photo strips for the duration of your party or event. Approximately 250 guests can go through the Photo Booth in three hours, and can immediately upload picture to face book. . A Variety of packages offer several options and can be customized for your event's theme.